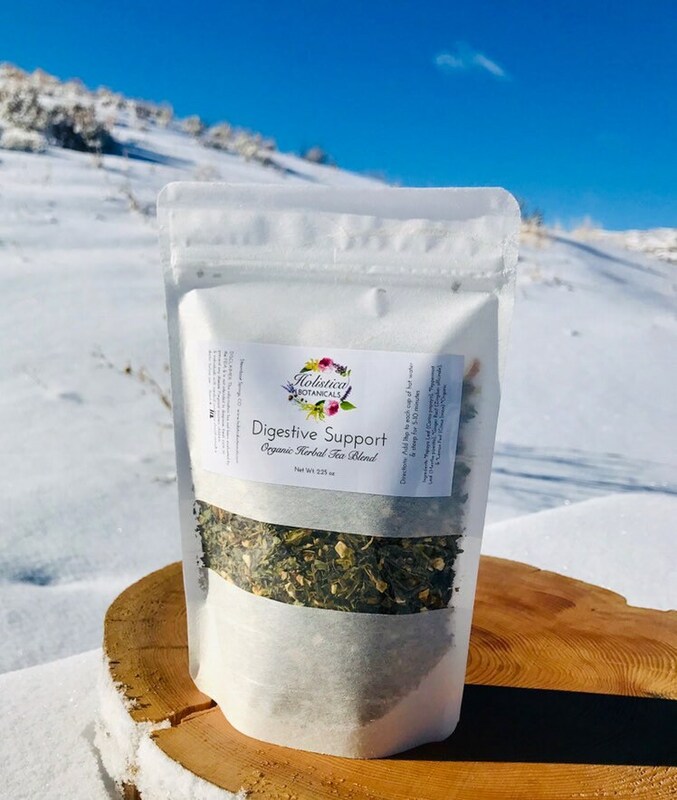 Our teas are 100% Organic, craft fully blended one at a time with care. Each tea comes in a stand up bag with recycled paper labels. 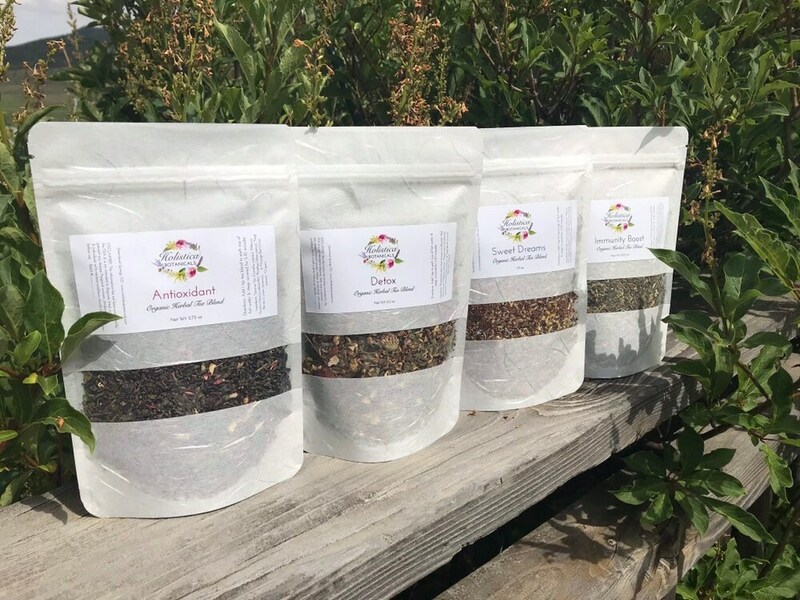 All of our teas are caffeine free with the exception of the Antioxidant tea. Each tea bag contains approximately 30 servings. 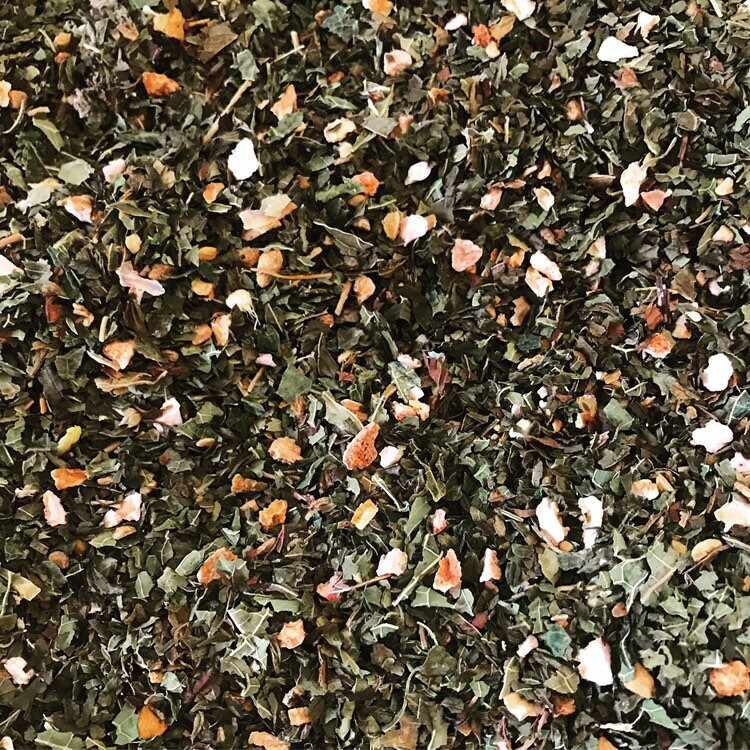 This blend is smooth, and calming. 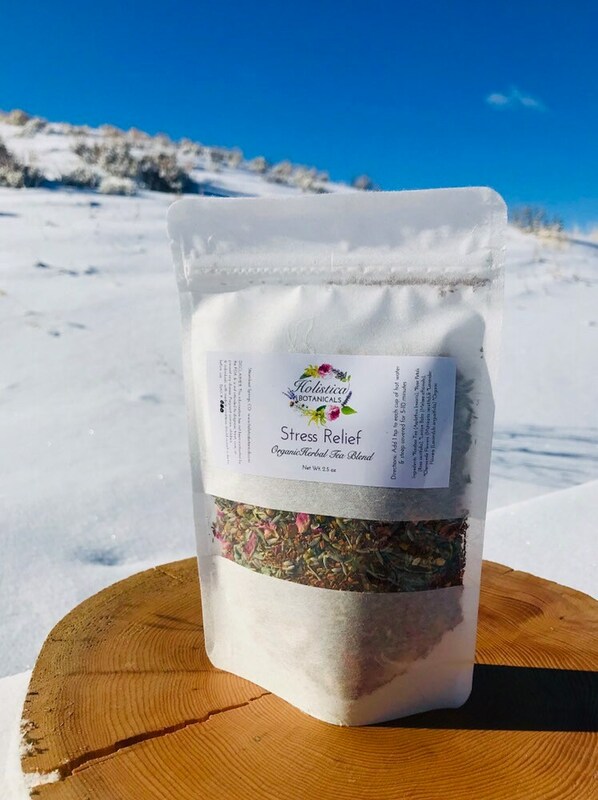 A well balanced blend of Rooibos tea and stress melting herbs to help you to relax and unwind. 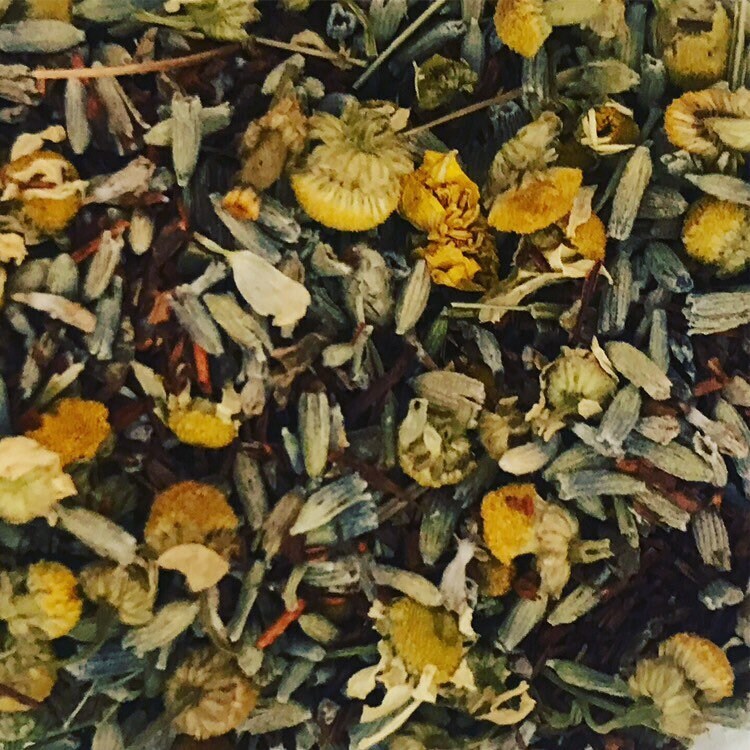 This tea is a fresh blend of herbs and stimulating ginger and lemon peel. 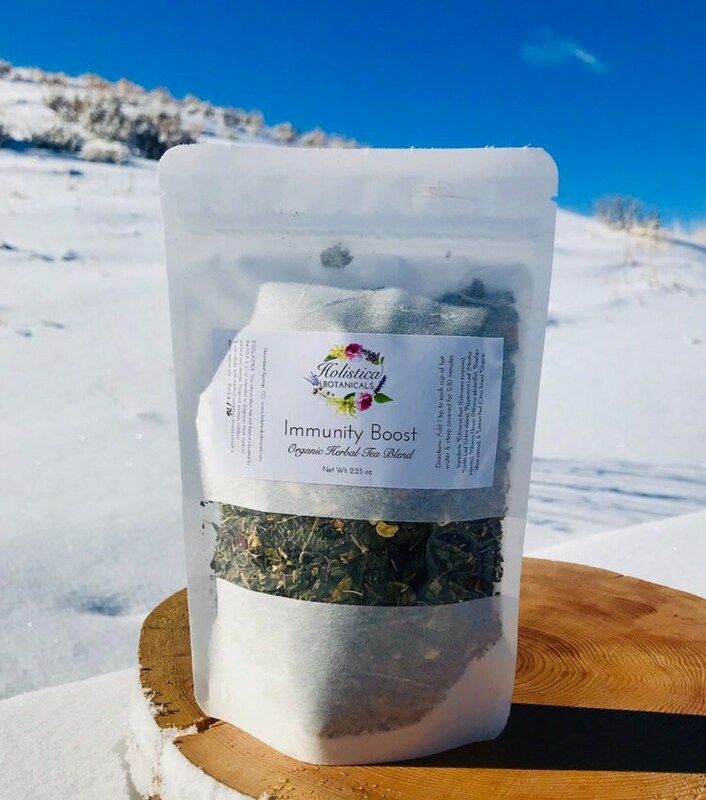 Formulated to support healthy digestion with an enjoyable taste. 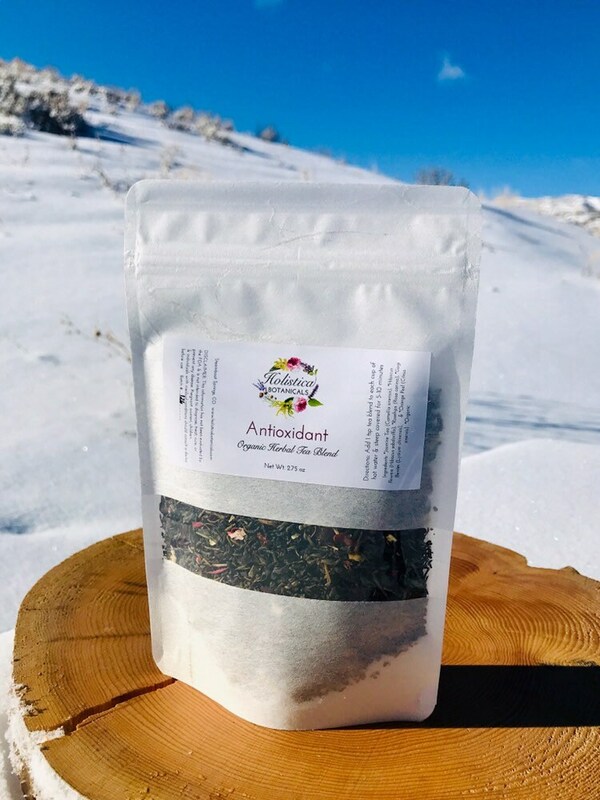 This is our only tea with caffeine, blended with beautiful Jasmine Green tea, and antioxidant rich Hibiscus, Rosehips, Gogi Berries and Orange peel. A floral and citrus blend to start the day off right. 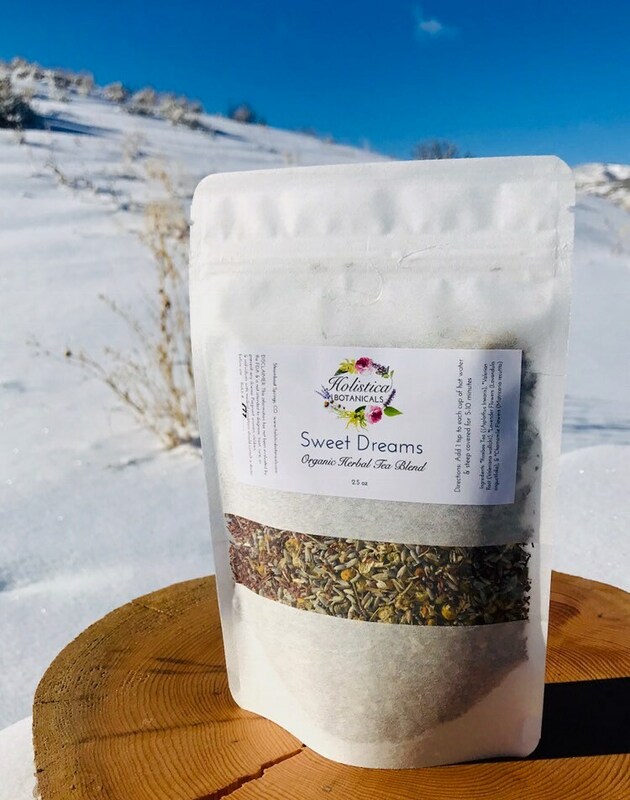 Unwind and relax for bedtime with this soothing tea blend. 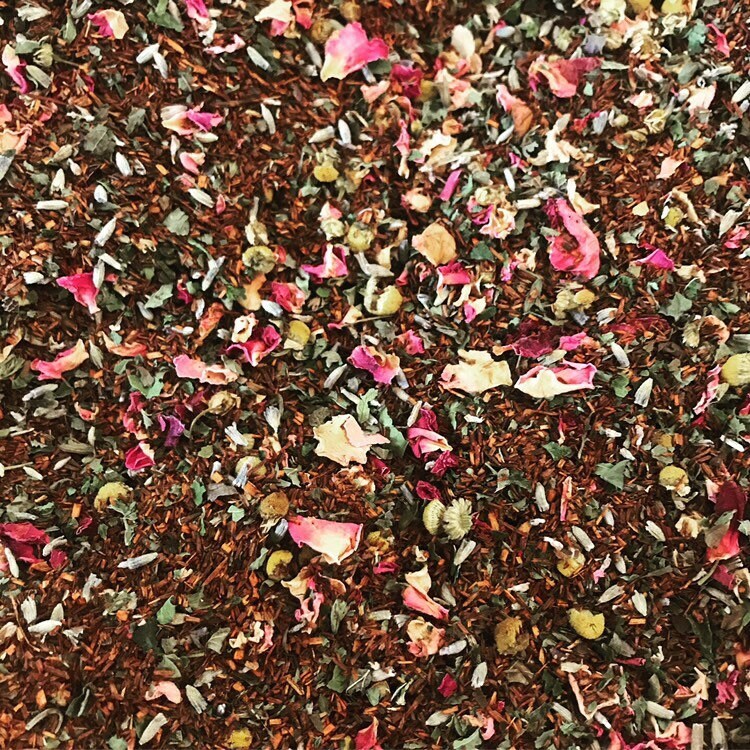 An floral and calming paradise in a cup. 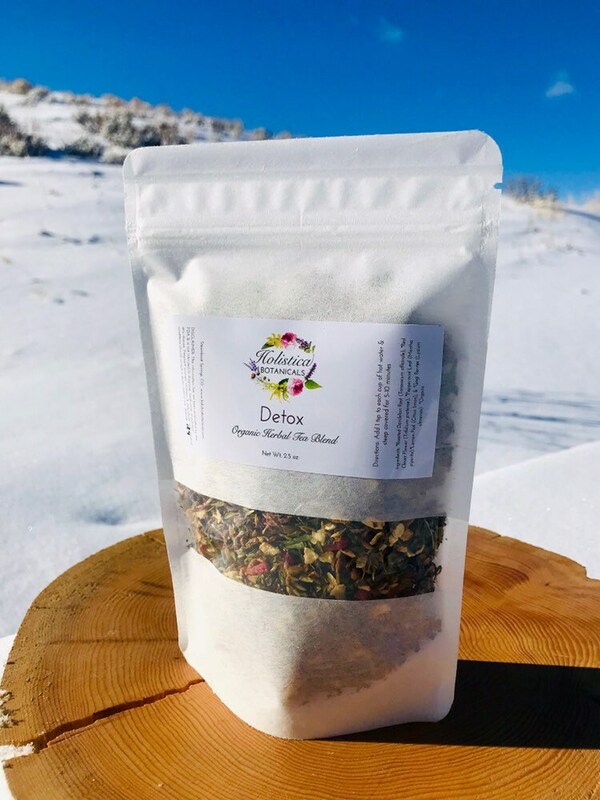 Detox your body with this herbal tea blend packed with liver and blood cleansing herbs, packed with vitamins and minerals. Directions: Add 1-2 tsp tea per cup of hot water. Steep 5-10 minutes. DISCLAIMER: This information has not been evaluated by the FDA and is not intended to diagnose, treat, cure, or prevent any disease. Keep out of reach of children. Pregnant women, children, and individuals with medical conditions should consult a doctor before use. I love this tea! It tastes really good, such a nice light flavor. These shipped very quickly and are of very high quality. I especially love the nighttime tea!